Welcome to the official website for scouting in the district of Tamworth, Staffordshire, UK. We have had Scouting in Tamworth for more than 100 years. The District comprises 14 scout groups, providing Scouting activities for over 1000 young people aged between 6 and 25 years as well as offering opportunities in leadership and support roles for in excess of 200 adults. Tamworth District has an excellent reputation for the variety of exciting, fun activities that it offers young people of all abilities and backgrounds, as well as the range of opportunities available to adults, both in leadership and support roles. Groups are located throughout the district, with meetings on different days, so there is certain to be one that suits your needs. Click on the ‘Groups’ link to find your nearest. 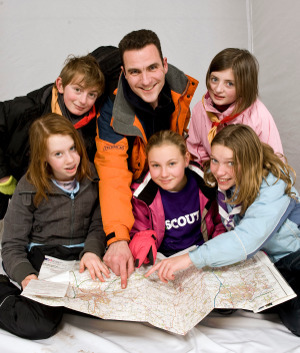 Young people can find out more about scouting by going to the ‘Sections’ part of this website. For adults, if you think Scouting is not for you, think again! Whilst Scouting expects something from you, it gives a lot more in return. Click on ‘Join in’ from the menu to find out more.